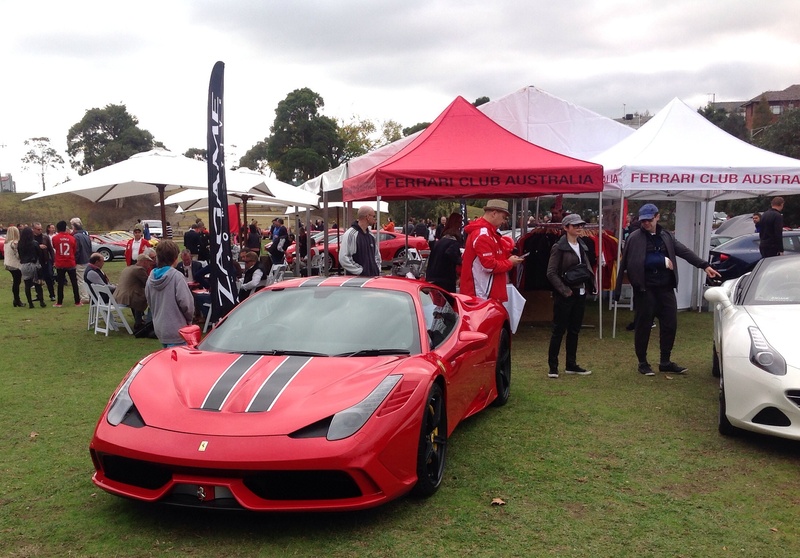 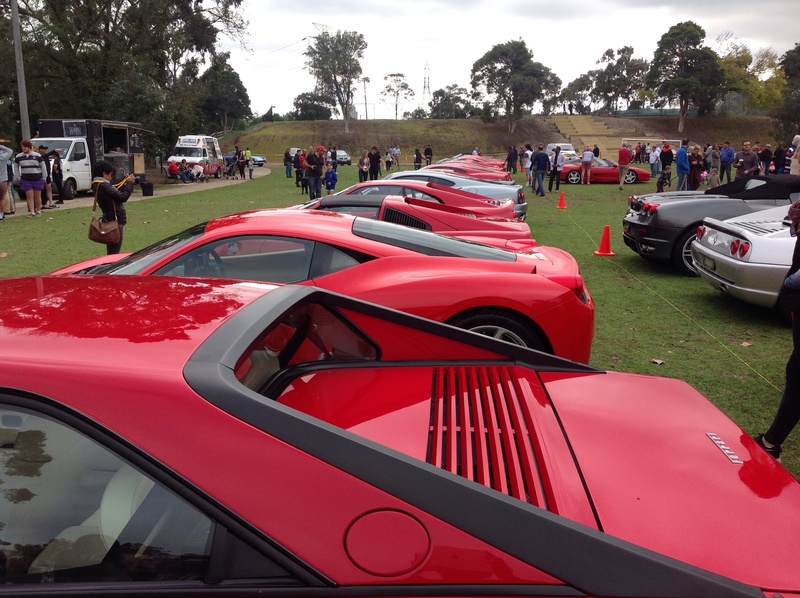 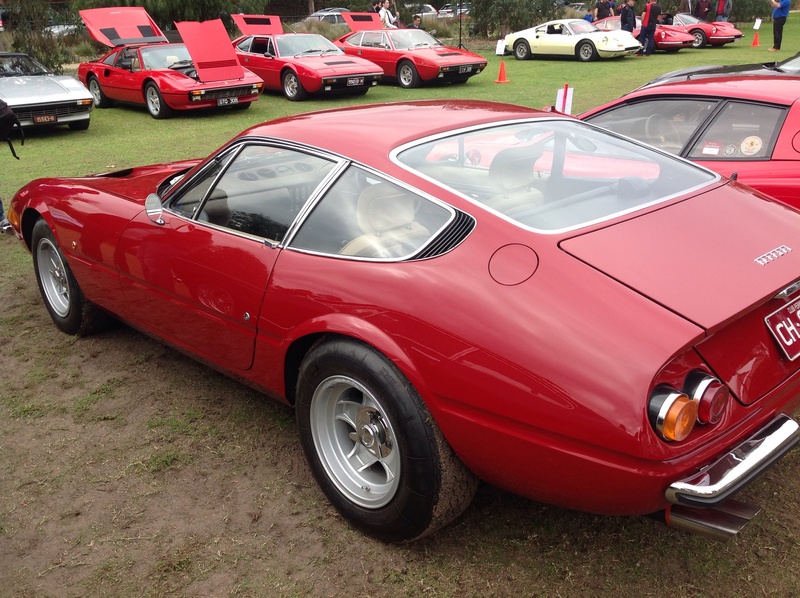 Racing Ferraris’ are fairly thin on the ground in Australia so the cars were predominantly road cars with a bias towards later models of the last 15 years. 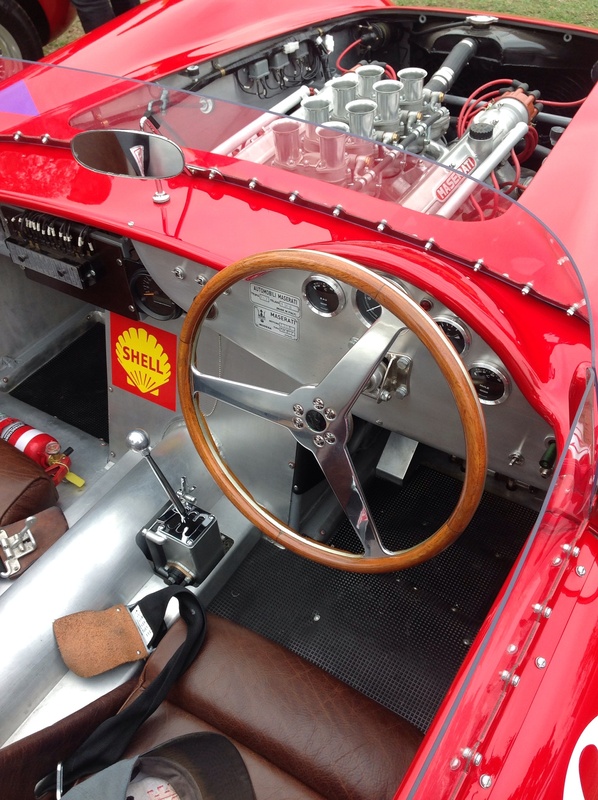 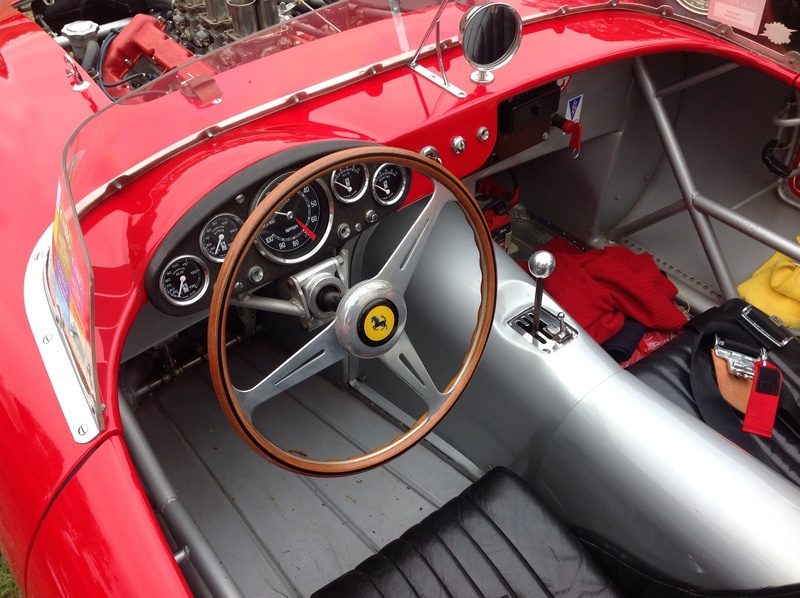 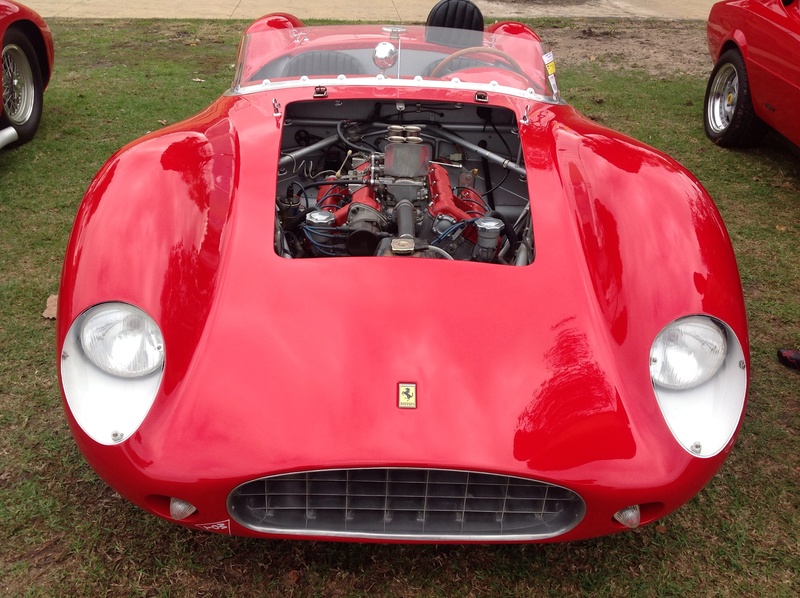 The most interesting entries for me were both replicas; one in the style of a Ferrari Dino 246 Sports Spider and the other a Maserati 450S, both racers of the late 1950’s. 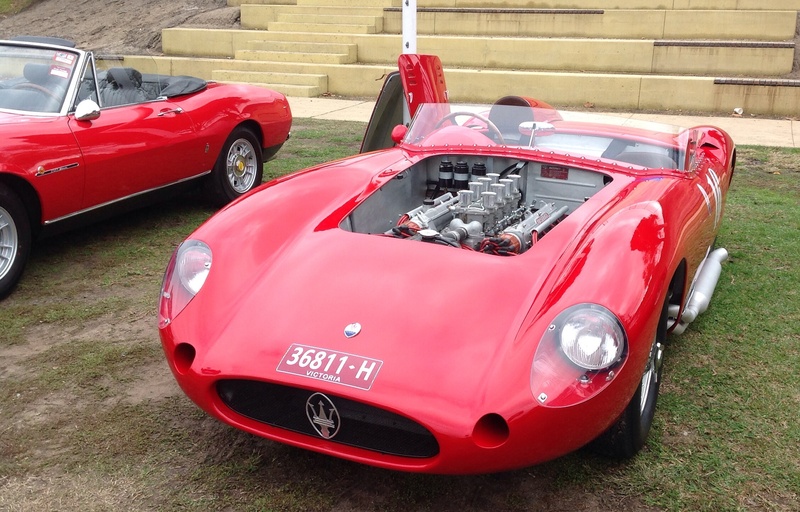 Some of the latter cars donor parts were from a Quattroporte road car of the 60’s by the look of the ‘Tipo 107’ plate on the dash. 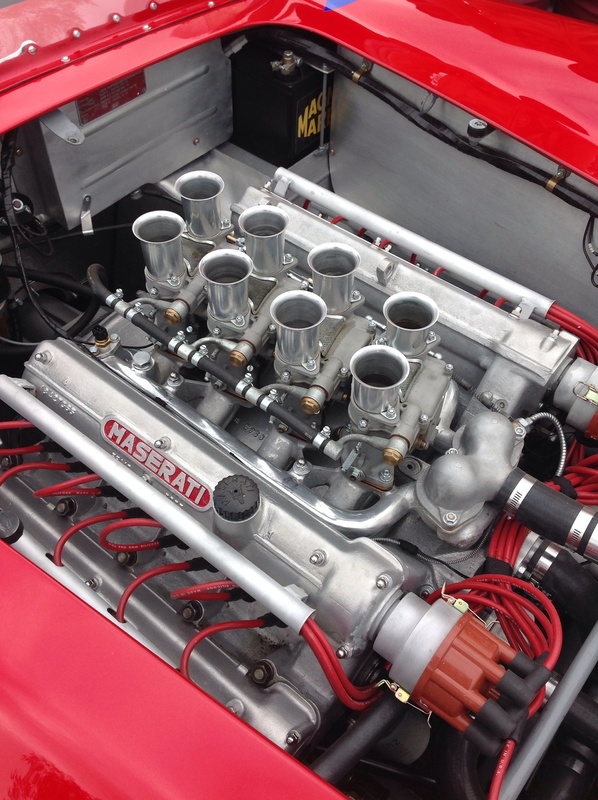 Workmanship of 450S replica evident. 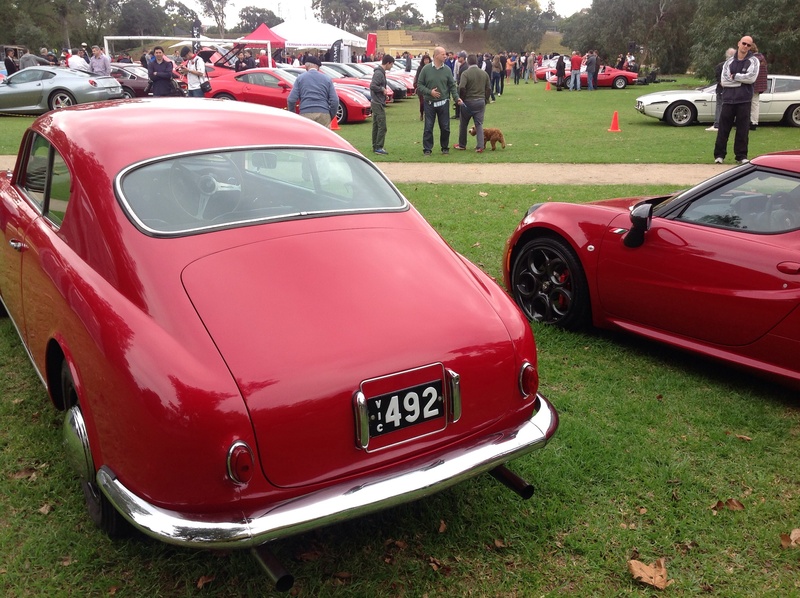 Both cars built by Vintage and Historic Restorations in suburban Melbourne. 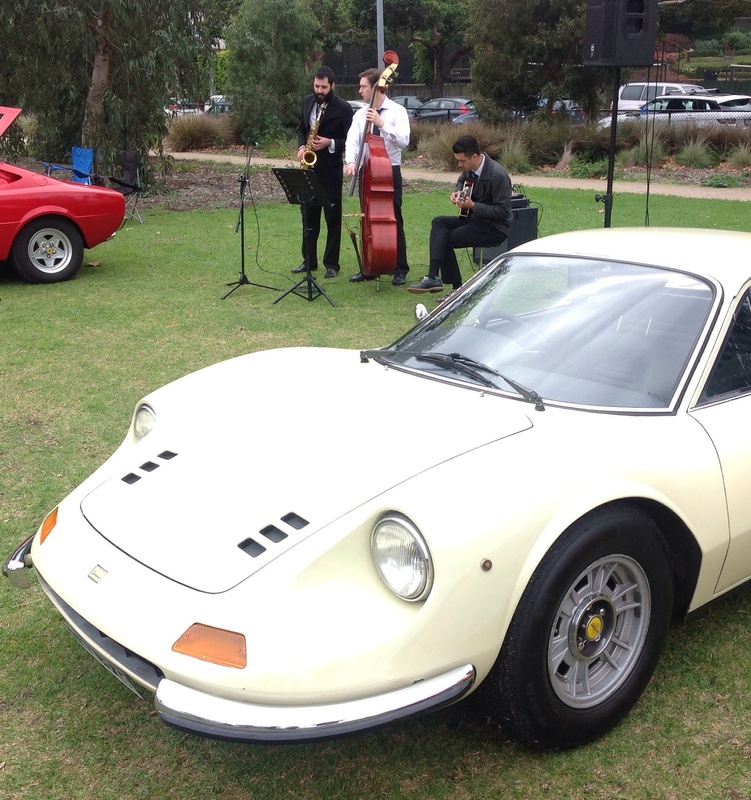 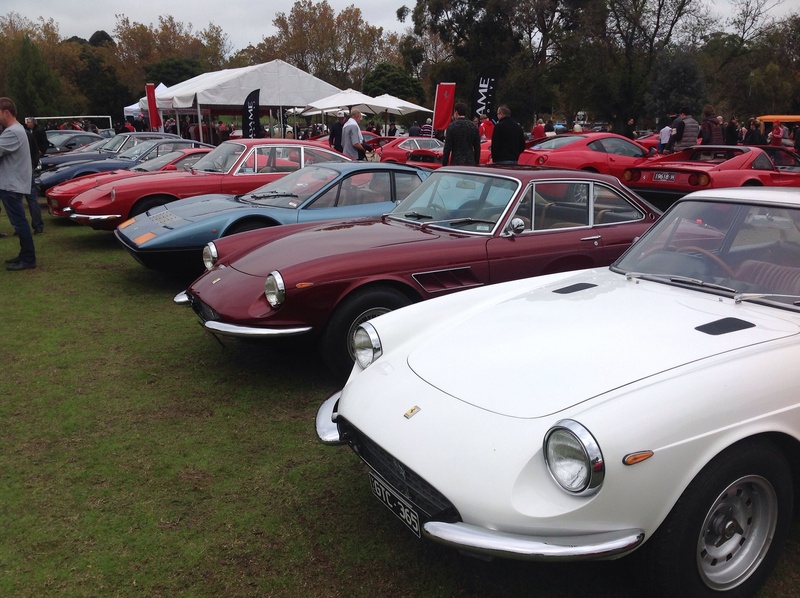 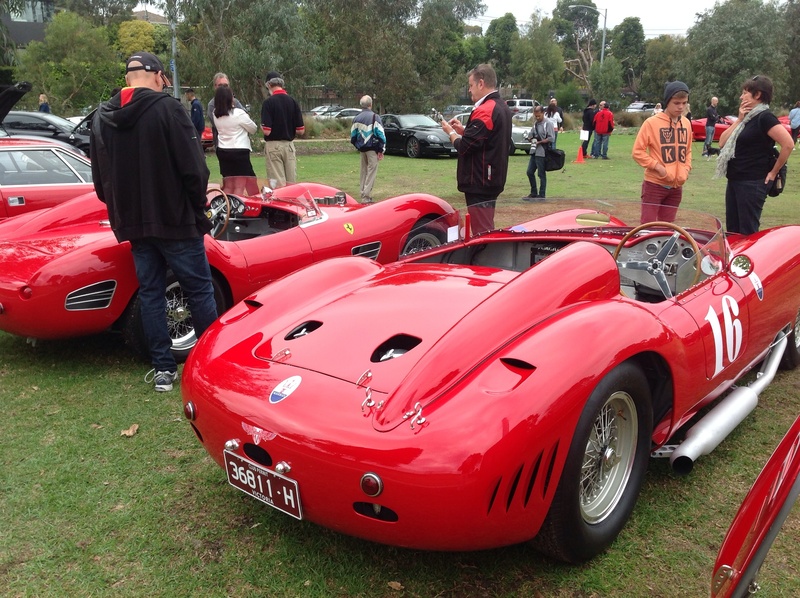 Replica Ferrari Dino on the left and Maser on the right.